We took a tour to Cassis which, to be honest, didn&apos;t offer too much. Enjoyed seeing the small fishing village, taking a brief small boat tour of the limestone formations in the area and having a quick snack and wine in a local cafe. Beautiful boat ride to see caves in Cassis. This was a fun tour around Cassis with lots of free time to enjoy and explore. Our bus took us to the highest spot in Provence. Our bus took us to the highest spot in Provence. Then we walked around the beautiful town of Cassis. It is filled with lovely shops and a port that has lots of beautiful boats. Wished to spend a little time in Marseille. Wished to spend a little time in Marseille. Just saw it from the the motor coach. Cassis was nice but spent a little too much time there. Takes to long to get there. Takes to long to get there. Only have about an hour in the town. Cassis was another hidden gem! Shore excursion group... got us on Cassis boat tour, no issues, beautiful day. Cassis is beautiful. Enjoyed a freshly baked croissant. Cassis walks an awesome seaside town to explore. What a beautiful city! Very quaint and picturesque! Very nice place. Quaint seaside village with great restaurants. The view from the cliffs over Cassis was the highlight. The view from the cliffs over Cassis was the highlight. There isn&apos;t a lot to see in the town once you&apos;ve experienced its charm, but I would have liked to have stayed in Cassis a little longer to have time for lunch there. Wonderful not too much walking. Wonderful not too much walking. Time to rest in a cafe over looking the harbour. Fantastic views. Great guide. 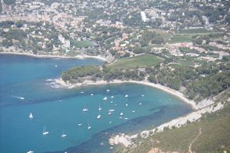 Cassis is a beautiful small fishing village set around the harbour. Picturesque. Not exactly as what was described in the brochure. Not exactly as what was described in the brochure. There was no "Train ride", it was a tram. Too little time at Cassis to actually do anything other than browse a few shops.